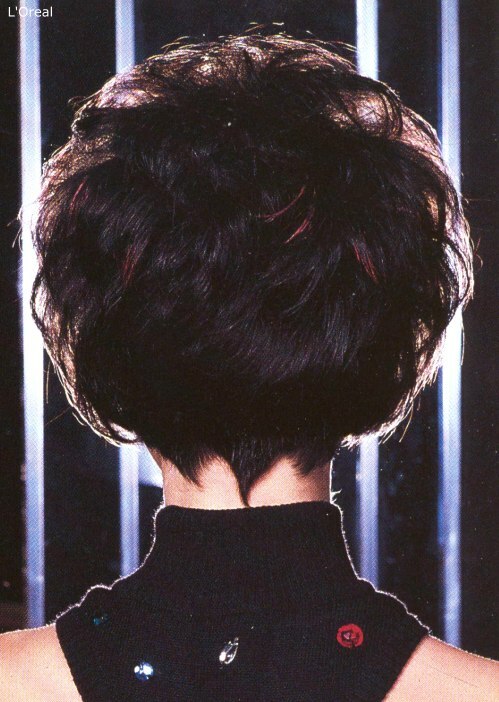 Another music inspired style is demonstrated in this short haircut. 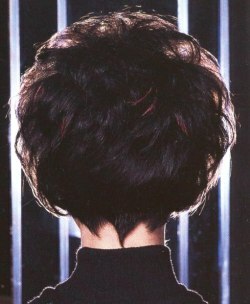 The hair is dramatically layered and teased to create maximum volume at the top of the head. Spiky sections around the face add excitement and draw attention to the features.